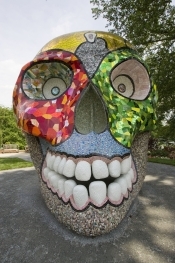 October 31 is the final day for “Niki in the Garden,” the stunning exhibition of 39 playful, larger-than-life mosaic sculptures now on display at the Missouri Botanical Garden in St. Louis. The works in the critically acclaimed exhibition include exquisite, brilliantly colored Nanas, animals, heroes, and totems ranging from four to eighteen feet tall, some of them weighing more than a ton. Read the exhibition press release, take an audio-visual tour, or check out a review and a survey of Niki’s life and work by critic David Bonetti  then hustle down to the Missouri Botanical Garden before it’s too late. This is one show you don’t want to miss. You’ll see work by Niki de Saint Phalle and other artistic pioneers in WACK! Art and the Feminist Revolution, the first comprehensive, historical exhibition to examine the international foundations and legacy of feminist art. Organized by The Museum of Contemporary Art, Los Angeles (MoCA), the touring exhibition opens 4 October at the Vancouver Art Gallery in British Columbia, where it will run through 18 January 2009. 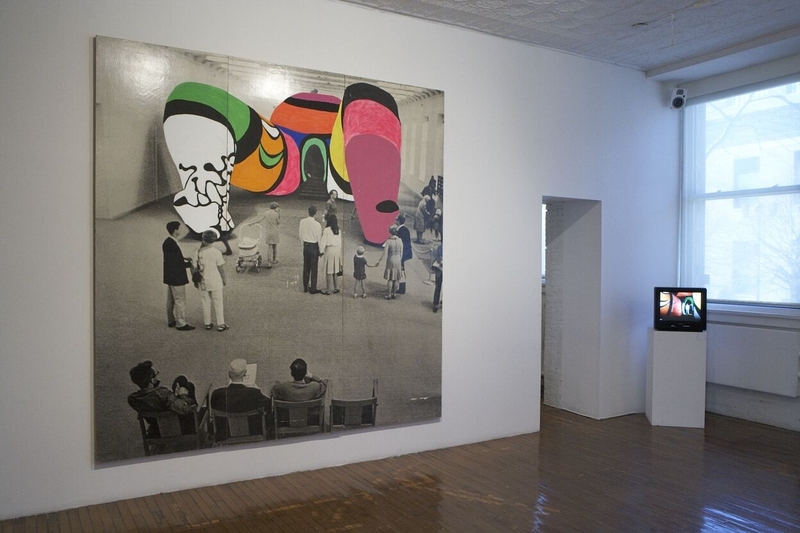 The show ran previously at New York City’s internationally renowned P.S.1 Contemporary Art Center. For more detailed information, check out the announcements from MoCA and P.S.1 via our press page.